Known for its beaches and its diverse landscape of mountains, deserts and jungles, Mexico is a country bursting with life. Scattered throughout Mexico are ancient ruins, such as those of Teotihuacán and the Mayan city of Chichén Itzá, as well as a plethora of Spanish colonial-era towns. The capital, Mexico City, features upscale shops, renowned museums and gourmet restaurants that cater perfectly to modern life; home to approximately 100 million people, it’s said to be among the most populous metropolises in the world. Discovering the best of Mexico is easy with Travelsphere; our handcrafted tours are planned with a view to showing you all the highlights of this remarkable country. Mexican holiday packages with Travelsphere guarantee you a great time, with the best atmosphere wherever you go and including all the attractions you love! 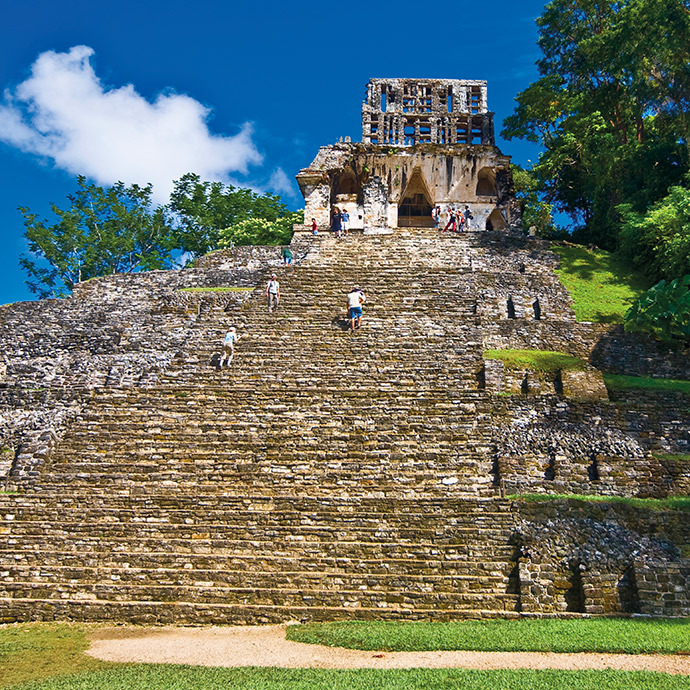 You'll get the chance to view the extraordinary 2,000-year-old Tule Tree and experience San Cristobal, a vibrant market town where locals still wear traditional Mayan dress. If it's scenery you're after, stopping at the stunning Agua Azul waterfalls is an absolute must, and for culture vultures, nothing beats the ancient site of Palenque, set in amid stunning rainforest. If you want a holiday you'll remember for years to come, then head to Mexico with Travelsphere! Mexico's Dia de los Muertos (the Day of the Dead) is a globally recognised festival and since the 2015 James Bond movie Spectre, its popularity has exploded. Let us tell you a little more about this celebration….